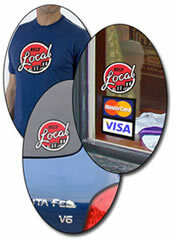 Our web site is a small but integral piece of our entire local marketing solution. You simply choose a category (or multiple) in which to feature your business listing and we'll take care of entering all of your information; company description, logo, location, hours of operation, web address, email - even, photos, banner ads and links to your Blog, Facebook, or Twitter pages! Our first goal is to drive traffic to your business - online or off. As a result, some customers will find what they need about your business directly on our site, while other customers will continue on to your site to get even more information. While our #1 goal isn't necessarily to get your business on "page one" at Google (please consider our minimal costs) - it DOES happen all the time! In addition to the new customers you will gain directly from RelyLocal.com, you will also begin to see increased traffic and exposure on many other search engines and directories. With things like meta keywords and even the content on your page becoming less relevant to search engines (because it can be manipulated), your site being featured on trusted sites like RelyLocal.com will help to increase your search engine rankings. We will also consult with you to make sure you are getting the most out of your listings on sites like Google Maps and MSN Local. Let us be your online ambassador - connecting you with our ever-growing network of "Loyal Locals" on Facebook and Twitter. Imagine - the next time you are holding a special event or offering a special promotion, you can reach hundreds (if not thousands) of qualified local customers with your message every time we make a post on your behalf... Instantly! (Try that with legacy marketing methods!) Plus, we keep things fun - with quizzes, contests, and giveaways designed to increase our fan base, while generating new exposure for your business in new markets! Coupons mailings can be very effective, but are also very expensive considering the ROI. While they do hit a lot of households, not everyone needs a muffler or likes Chinese food. As part of your normal membership, you may feature up to three coupons each month (you choose the expiration dates) for customers to print and use at your location. As we continue to grow, we will also insert "highlight coupons" in the major mailings in the area to showcase all of the coupons available at RelyLocal.com. This is a great incentive to entice new customers. Best of all, it's all included as part of your regular membership! While we provide businesses and loyal locals with window decals, bumper stickers, and t-shirts - it is about much more than just that "warm-and-fuzzy" feeling. These tools are a small but very deliberate part of building an effective grass-roots campaign to support local business. It is our way of making RelyLocal the new "Good Housekeeping Seal of Approval" for local businesses in the New Braunfels - Seguin Area area. Your Role - Our Partner! RelyLocal isn't just about what we can do for you, it's about what you can do for your community. At least 90% of your membership dues stay in the area to help grow our community campaign to reunite local customers with their local businesses. We don't view our business members and web users as clients and customers, we view them as partners! Get involved, make a minimal investment in New Braunfels - Seguin Area, and you'll receive a lot more in return than just more clicks to your web site. We are here to help! Campaign ONLY $25 PER MONTH! Problem #1: Sure, most small local businesses can’t afford the thousands of dollars needed each month to advertise with newspapers, coupon packs, billboards, tv, radio - let alone hiring an internet marketing firm or find time to spend on social networking! How can they possibly compete with national chains or established competitors? Solution: RelyLocal is much more than just another online business directory and community campaign! Think of us as your co-op advertising agency, internet marketing firm, and part time sales staff - repping you in the community all day, every day. Problem #2: Many businesses already have a good web site, but nobody really uses it. They spend precious time and money for ongoing design, SEO, and expensive advertising that appears to produce no tangible results. Other businesses don't have a web presence at all, but know that they are losing customers as a result. Solution: If potential customers can’t find your web site or listings, they aren't likely to find your physical location, either. We not only bring you new, highly qualified traffic directly from your listing on RelyLocal.com, but we also feed the search engines and other directories, increasing your overall online exposure and organic (free) rankings. If you are a local business owner who would like to partner with RelyLocal, just get in touch or apply today! We'd love to meet with you and figure out even more ways that we can help your business! Header photography by Fourth Place, Seguin Central Park. Photo taken by Matthew Chase, MJC Gallery, Seguin, TX.